Hundreds of trees are still littering the streets of the San Gabriel Valley. The cleanup has not stopped since last Wednesday night when a wind storm hit the area. Yet everywhere you turn, piles of debris are still there, with seemingly no end to the work that lies ahead. And now, with rain forecast for Monday, there is a new urgency to get more work done. "The rains are coming next week," said State Assemblyman Anthony Portantino. "If we don't get the debris off the streets, we are going to have localized flooding." Portantino toured the devastated cities across the San Gabriel Valley with Mike Dayton, the acting secretary for the California Emergency Management Agency. The state has not determined if it will consider the region affected by last week's wind storm a disaster area. "We are gathering the data right now to see the full extent of the damages," said Dayton. "Based upon that, we will make a recommendation whether or not to do a state declaration." Pasadena and Arcadia, among other cities, have begun systematic, street by street, debris removal and will work straight through the weekend. They are asking residents to put out their green refuge and make sure not to block storm drains. The state is helping out. 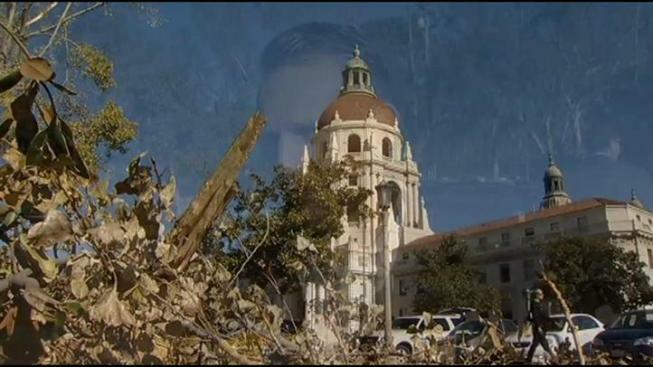 The city of Pasadena has provided a detailed procedure for green pickup, and drop off points for those who want to dispose of debris themselves. 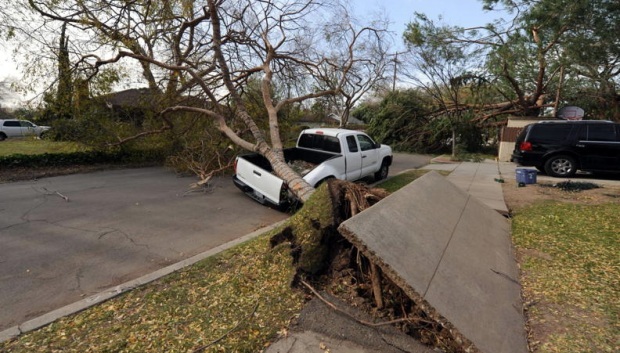 Many San Gabriel Valley homes suffered roof damage in last week's Wind Storm. Now homeowners are scrambling to avoid rain damage, as well. Dayton said sending state workers to help clean up debris does not need a declaration. "Absolutely not," he said. "It is absolutely separate from response and operational activities we have been engaged in since the beginning." While the assistance is appreciated, it may not be enough. Los Angeles County officials predict it will be several weeks before streets and roadways will be completely clear of debris. So, the emphasis this weekend will be on areas that could block storm drains. And then, the rain is expected to come. 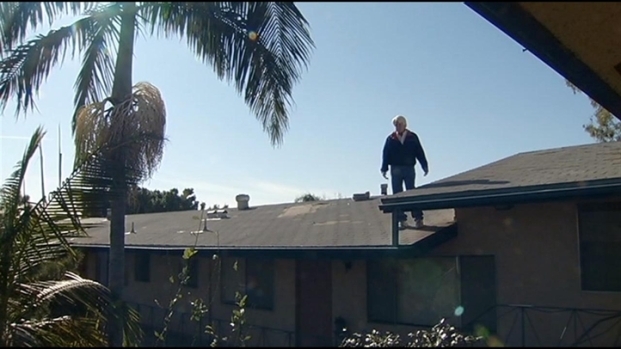 That's also bad news for homeowners who suffered roof damage from the wind storm. Serious problems cannot be fixed by next week's rain, so many homeowners are having temporary coverings placed on their roof. Kim Smith, one of several roofers staying busy because of the storm, says that's a good idea. "Get the roof covered," advises Smith. "Water tight the roof, because if it does rain, you are going to have leaks. It's going to ruin ceilings and become definitely more expensive."